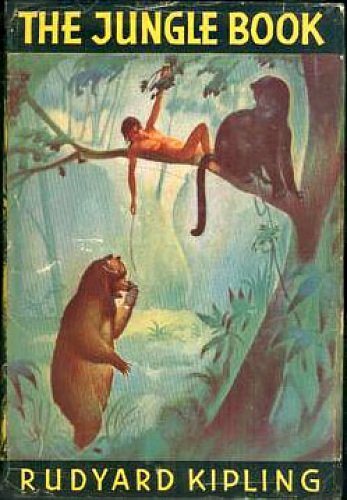 This new iteration of The Jungle Book, courtesy of 21st century cutting edge technology, looks like magic of a whole new sort. 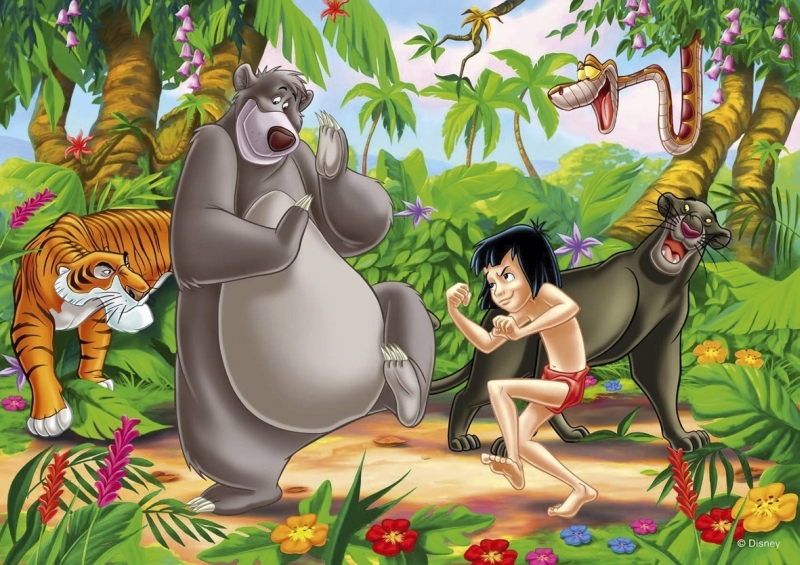 It may be lacking in the silly cartoon giggles of its 1967 animated precursor but the ability to put an honest to goodness real boy in the thick of the jungle, surrounded by some very intimidating beasts has got to more than make up for that. 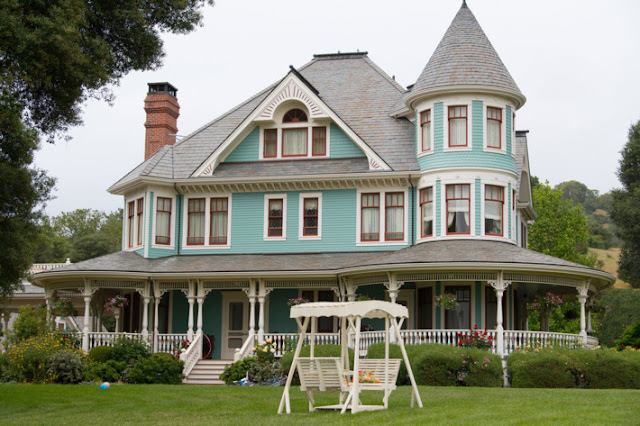 Is it thrilling or too chilling for kids? That’s the big buzz about the just-released teaser trailer for Jon Favreau’s reimagining of the Disney classic. I think of my boy back when he was a boy and he would have been thrilled while a friend of his, who I recall was terrified of James and the Giant Peach, would have cowered under the seat. It all depends on the kid, I think. But I can imagine being a smallish child and seeing the Jungle Book trailer for the first time, mouth open in wonder and awe vs ours, all hyper-critical and jaded. I’d guess that’s the kind of magical first we’d all love to get back to. From the looks of it, director Jon Favreau has created a CGI world for this movie that honors the original, is truer to Rudyard Kipling’s darker story, and, as the end of the trailer teases, doesn’t totally forget The Bear Necessities of a little music now and then. 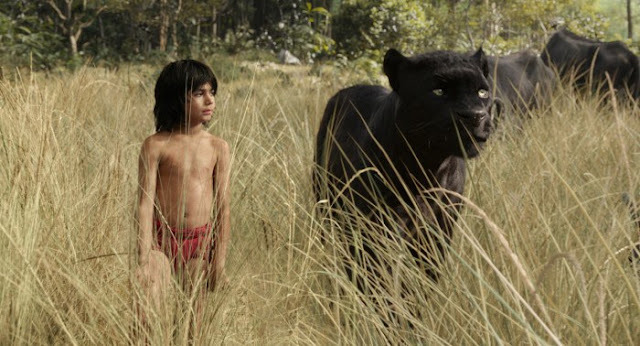 Mowgli, the boy raised by a bear, a panther and a pack of wolves, is played real boy Neel Sethi, while the animals are all digital creations voiced by big name actors: Bill Murray is the beloved Baloo, with Idris Elba as Shere Khan, Scarlett Johansson as Kaa along with Christpher Walken, Lupita Nyongo and Giancarlo Esposito. 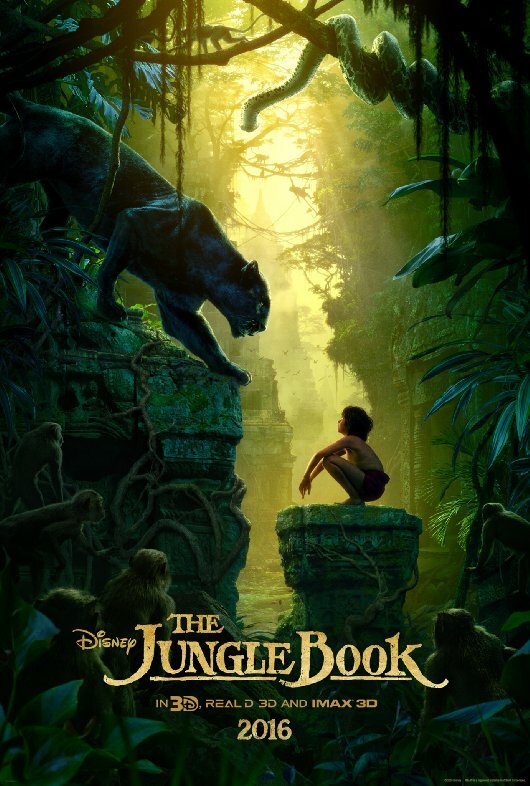 Based on Rudyard Kipling’s book—has anyone actually read Kipling’s The Jungle Book?—the film comes out in April of 2016.